To tell you the truth, the change felt a little intoxicating. Like first rum. It was all so new and different and kind of spring-break-name-gone-wild and I got all wound up. In a burst of total abandon, I changed the header picture and then the theme, too. And believe me, if I knew how to change anything…anything…else on the site I would. But for now my lack of technical expertise will keep the rest of my clothes on. So anyway, that’s why everything looks a little different today. 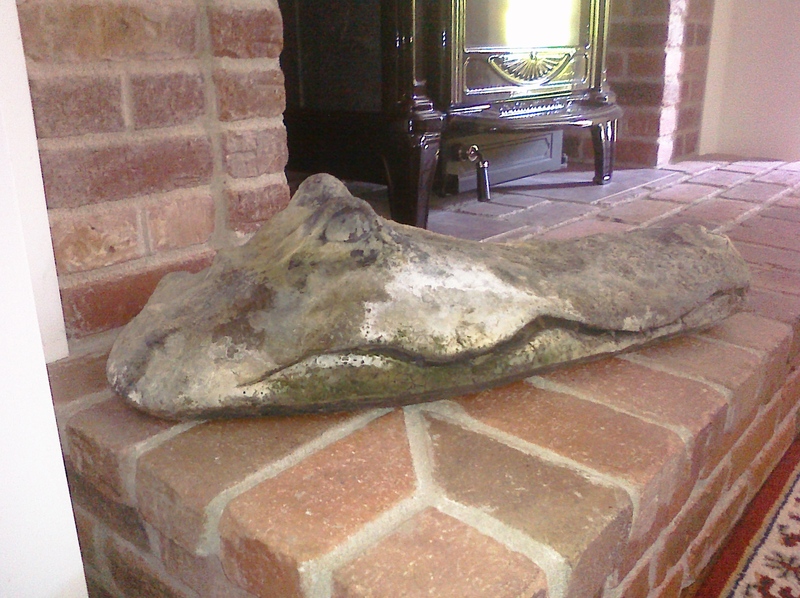 BTW, the alligator sculpture in the header above is my newest and most prized-of-all-prized art pieces. And I know, she really belongs in a big fountain, or a bed of deep periwinkle, or on the nightstand next to my bed as primeval protector of dreams, but for now I can’t bear to have her out of sight for that long. So instead she’s hanging out on the hearth next to the wood burning stove, right in the center of the house. That way every time I forget she’s there, and then walk around the corner and catch her out of the corner of my eye again, my stomach can do another flip flop and I go…what the…?!! before I remember. She’s that real looking. I love her. ← Someone Else Wrote My Book. What Now?